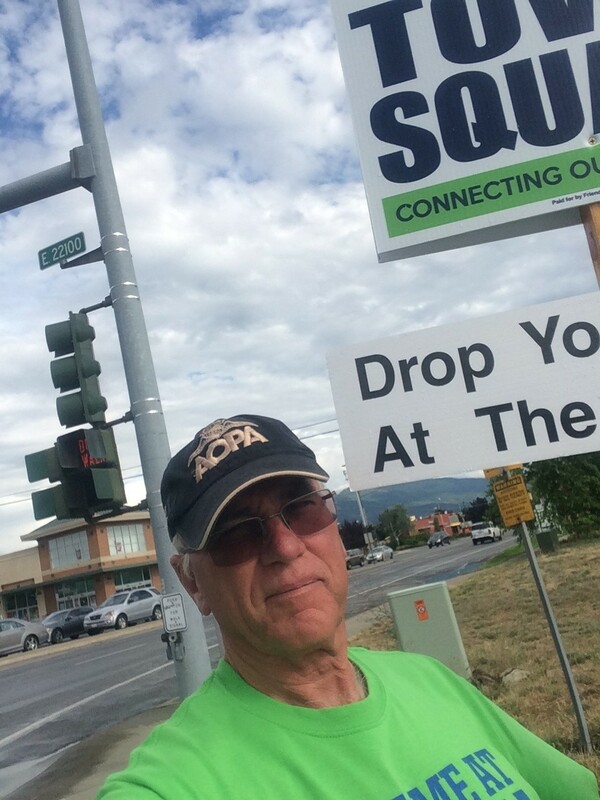 Right now, if you're a Liberty Lake resident, there's a good chance your mayor is standing on a street corner wearing a baseball cap and sunglasses and holding a sign urging you to vote "yes" for a Town Square Project. "This is an opportunity. This is an opportunity to invest in our community. It's a minimal cost to our homeowners, but it's a big benefit to the kids, to the people that live here and the people that are yet to come," says Mayor Steve Peterson. 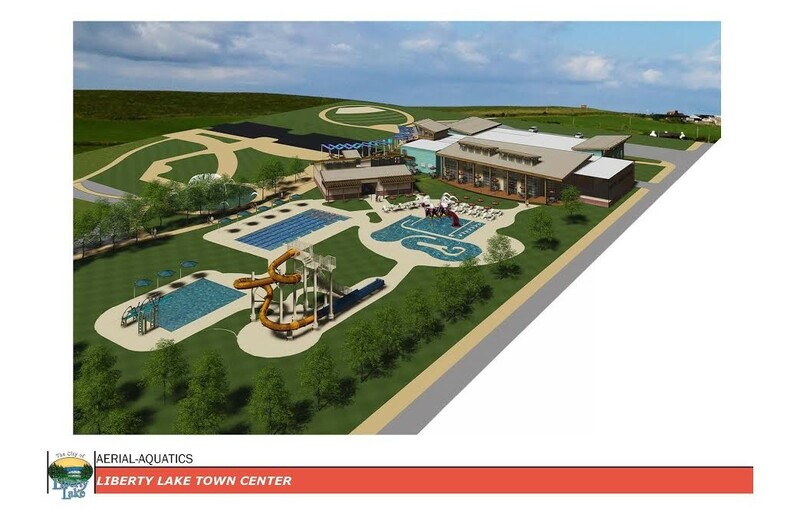 For nearly two weeks, Peterson says he has been out advocating for residents to vote Tuesday, Aug. 2, for the 30-year bond that would fund a new $12 million, 50,000-square-foot recreation and community center in Liberty Lake. Peterson says it would serve as a gathering place for the city — something sorely lacking. The project would raise taxes 50 cents per $1,000 of a home's assessed value, or $135 per year for a $250,000 home. The project would ideally be finished by spring 2018, according to the city. Liberty Lake Mayor Steve Peterson on the street holding a sign advocating for the Town Square Project. The center would hold a community building with a library and meeting center that would support up to 240 people. It would feature an outdoor aquatic facility including multiple pools and a bath house with lockers. City Administrator Katy Allen says the idea for the Town Square Project came from a community survey taken in 2015, the outcome of which identified amenities that residents were looking for. But the main purpose of the project, she says, is to have some semblance of a downtown center in Liberty Lake. "We are a wonderful community; we do not have a downtown," Allen says. "Cheney, Colfax, they have a downtown. We do not have a downtown. This is that project. This is our Town Square." There has been resistance to the project from people who wanted an indoor pool they could swim in year-round. Allen says that was considered by the city and determined too expensive. The recreation center would be located in a lot owned by the city on Appleway Avenue, between Signal Road and Meadowwood Lane. That location concerns some residents, Allen says, who worry about the traffic impact and the safety of children. Mayor Peterson, however, says it would not significantly increase traffic. He says the traffic in Liberty Lake now only worsens at 8 am and 5 pm, not during the day when more people would likely be using the center. "This is (about) bringing our community together," Peterson says. "It's a necessary service for our residents." The bond measure will need a 60 percent majority to pass. For more information on the project, check out the city's website.